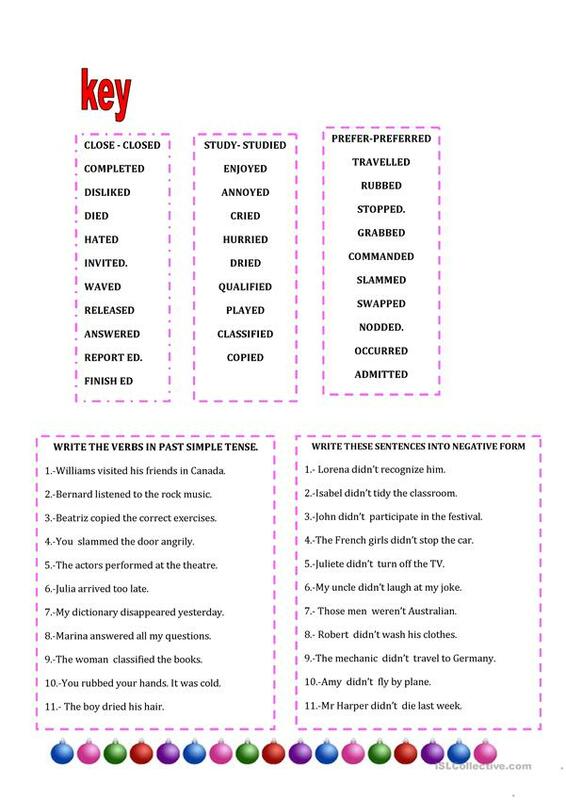 Spelling and exercises. Hope you like it. The present printable, downloadable handout is a great resource for high school students and elementary school students at Elementary (A1) and Pre-intermediate (A2) level. 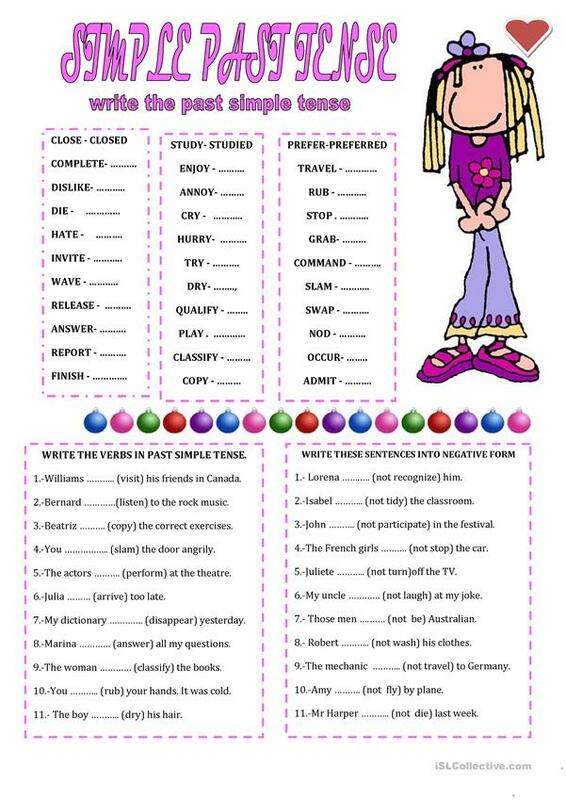 It is a useful material for practising Past simple tense in English. The key is provided, too.